Edgehill College was founded in 1884, Stella Maris Convent (later Stella Maris School) in 1929 and Grenville College in 1954. For more than half a century, the North Devon market town of Bideford was well-served by these three fine independent schools, each with its own Christian ethos, Edgehill being a member of the Methodist group of schools, Stella Maris originally being a Catholic Convent School and Grenville part of the Church of England Woodard Foundation. Edgehill and Stella Maris were for many years girls’ schools, while Grenville was for boys until its merger with Stella Maris in 1994. 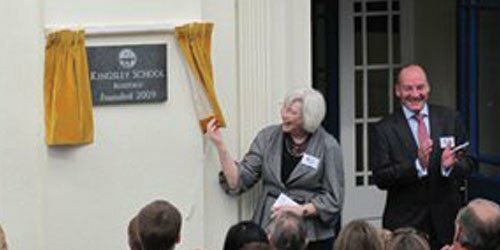 In January 2009, Edgehill College and Grenville College came together under the aegis of the Methodist Schools, to create the first new independent school in the region for more than half a century. Kingsley School Bideford is a school proud of its three great pasts, and is making its own great future with ambition and enthusiasm.